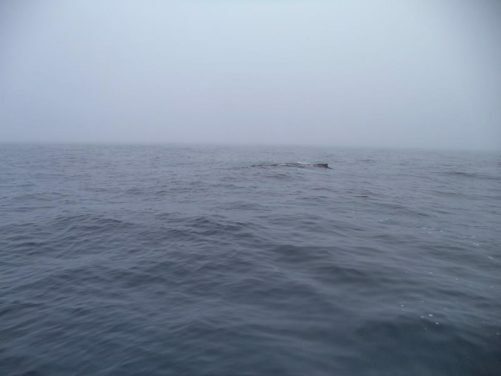 Humpback whale, off Tasiilaq, east Greenland. 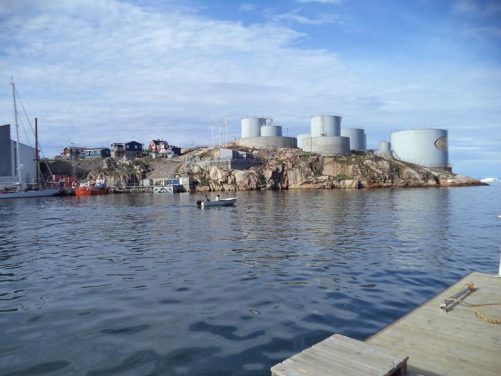 View across Ilulissat harbour. Storage tanks and houses on the far side. 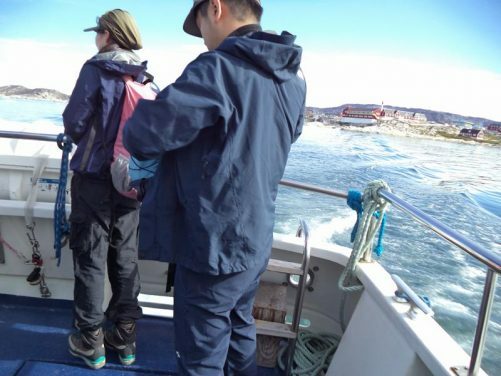 A small boat heading out. Looking into the harbour, which is in a narrow rocky bay. 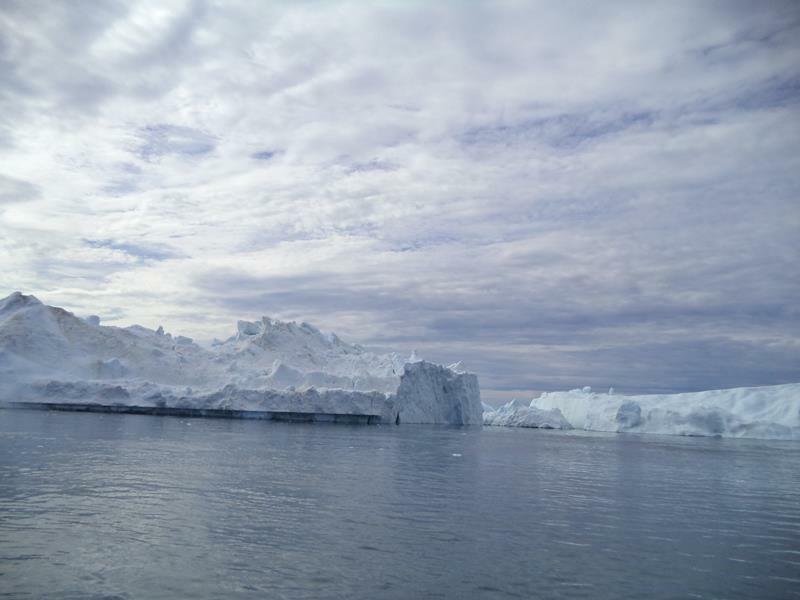 Small dispersed chunks of ice floating in the water. 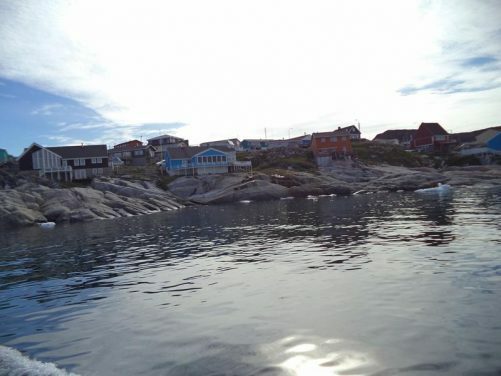 Part of the town can be seen beyond with houses spread out amongst rocks and grass. 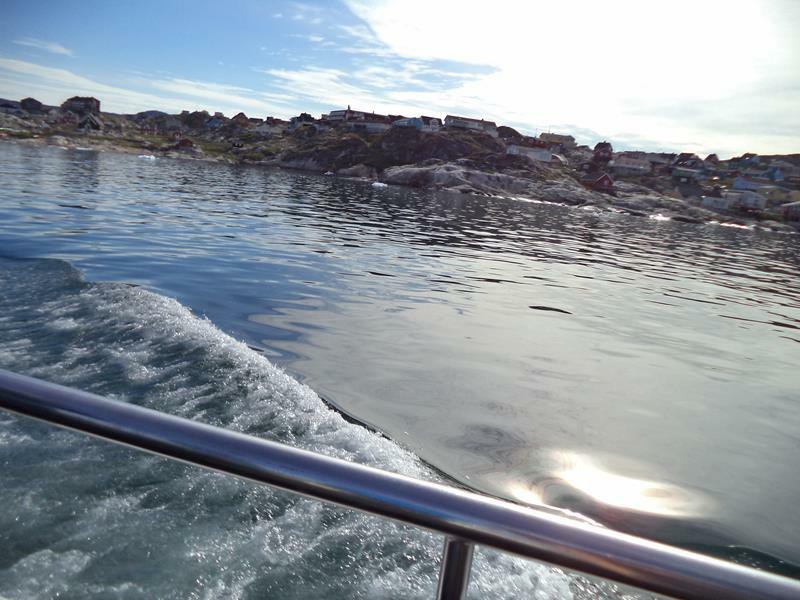 On-board a small boat leaving Ilulissat. Two fellow passengers standing in the foreground. Buildings of the town in the near distance. 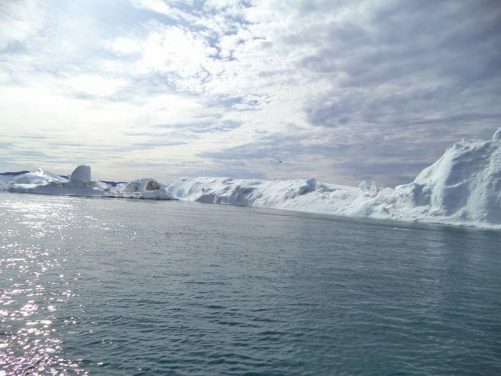 The large red and white building is Ilulissat’s hospital. The boat close to the shore with houses extending down to almost the edge of the sea. 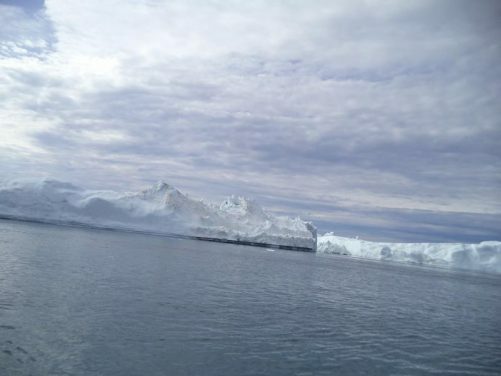 Massive icebergs seen from the boat. 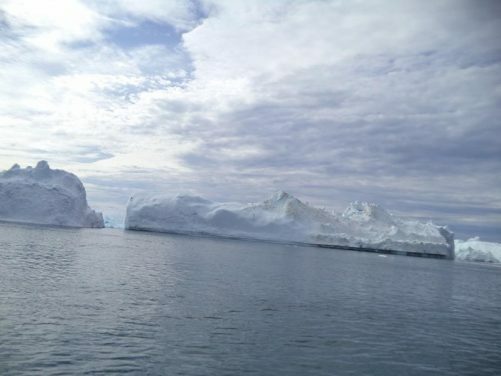 Icebergs. Sea birds flying in the distance, seen as tiny dark specks against the white of the ice. Weathered shapes of the icebergs illuminated by the low sunlight. While mostly white, parts of the ice have a hint of pale blue.